Do you need assistance in planning an exceptional dining experience for your family and friends? Several details need to be kept in mind so that the dinner is planned and executed seamlessly. Raleigh Limo and Party Bus Rentals can help in organizing the perfect dining experience that your guests are likely to remember for years to come. When hiring a limo service it is important to contact a reliable and reputable company so that all the elements that are needed to make your dinner memorable are in place. We offer high quality services and luxury vehicles, and guide our clients through the planning and selection process so that they have an unforgettable dinner with a limo service that truly fits their needs. Raleigh Limousine and Party Bus Rentals makes it easy for our clients to make their dinner as memorable as possible. Our employees are experienced and have restaurant suggestions they can help clients with, and can recommend chauffeur services that are likely to be needed in certain situations. Our chauffeurs are qualified and happy to take care of our client’s needs and preferences. If special arrangements are needed, we can accommodate your needs easily. We provide ground transportation to Raleigh and other areas so that clients are able to make reservations at the restaurant of their choice, whether nearby or distant. There are several luxury restaurants in Raleigh that can be booked in advance. We can make the reservations on behalf of our clients if they prefer. We can take care of the minute details that will improve your transportation and dining planning experience. Some clients may prefer a famous restaurant in Raleigh like St. Jacques French Cuisine or maybe a casual café to have a good time with their family or friends. We can make limo arrangements according to your preferences and requirements ahead of time so that you can enjoy your night out. Our chauffeured transportation services ensure that our clients travel like royalty in our limousines on their special night out. Our limousines are equipped with special facilities requested by our clients, such as snack and beverage/cocktail bars. Our professional services exceed the expectations of our clients because our aim is to provide high quality services to you. And to present our clients with worry free and comfortable transportation services so that when they reach the restaurant for dinner, they are vibrant, fresh and relaxed. Our luxury corporate transportation services have been designed to keep in context our customer’s needs. We understand the importance of a well-organized dinner plan. We decorate the interior as per the instructions given by our clients, as well. Our cars are equipped with a stereo system that we can reboot to play our client’s favorite tracks. Our company identifies our client’s favored restaurant and makes their journey as memorable as possible. We can recommend new places that match the client’s preferences so that they can have a unique dinner experience. Our services are prompt and drivers have the navigational abilities to take our client’s to their restaurant of choice on time and in style. 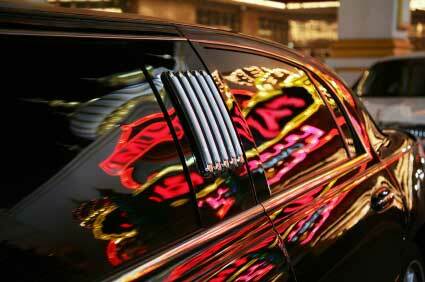 Call us today to book your luxurious limousine for your special night Out!